In a new York University study, researchers say obesity really is okay for some people who are active and eat a healthy diet, challenging the notion that everyone has to be slim and lean to live a long life. The research compared the lifespan of 6000 obese and lean individuals in a sixteen-year study. The researchers found that many individuals with high body mass index (BMI) in early life only had mild physical and physiological impairments that would put them at risk for obesity-related diseases. Instead of relying on body mass index alone, the researchers used the Edmonton Obesity Staging System (EOSS). The tool was developed by University of Alberta researchers and gauges risk factors for disease, which is broken down into five stages of obesity. The system classifies the extent/ severity of other diseases including cancer, mental illness and heart disease. Lead researcher Jennifer Kuk, assistant professor at York University’s School of Kinesiology & Health Science, Faculty of Health explains the finding negates the idea that all obese people must lose weight. “…It’s possible that trying – and failing – to lose weight may be more detrimental than simply staying at an elevated body weight and engaging in a healthy lifestyle that includes physical activity and a balanced diet with plenty of fruits and vegetables,” she says. Based on the findings, the researchers say fat can be healthy and that not everyone who is obese should be guided toward weight loss. In order to determine whether obesity is a truly a health risk, Kuk says people should see a physician for evaluation that uses the EOSS criteria. 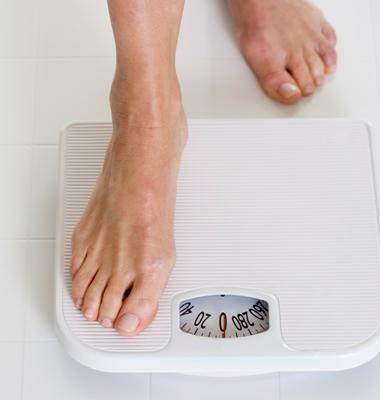 Dr. Yik has helped many patients reach their weight goals and maintain optimal health. Click here to learn more about the Weight Loss 2.0 program she supervises. This entry was posted in General, News Update, Weight Management and tagged BMI, body mass index, EOSS, fat, obesity, overweight, weight loss, weight management. Bookmark the permalink.